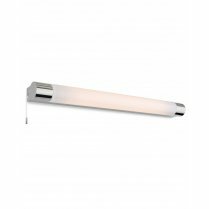 The Palm range from Firstlight are a series of minimalist and modern bathroom wall lights finished in polished chrome and featuring an opal frosted glass shade. 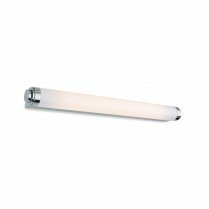 Both fittings in the range require a single G9 bulb with a maximum wattage of 33W, suitable LED alternatives can be found in the accessories section of our website. 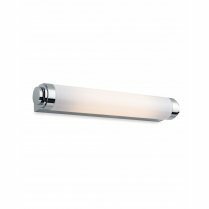 All lights in the Palm range are rated IP44 for bathroom use. 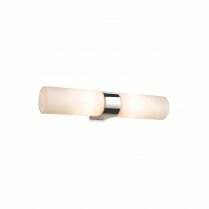 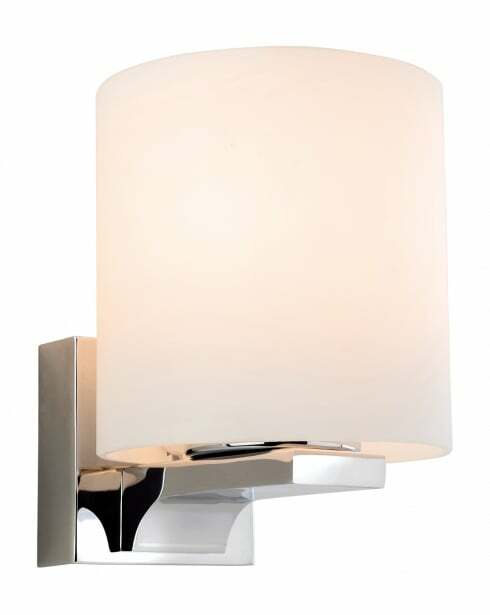 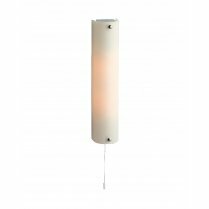 The 3461CH is a single light wall fitting that has a round frosted shade. 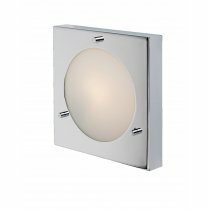 This Palm wall fitting has a height of 16cm, a width of 12.5cm and projects 15cm from the wall.